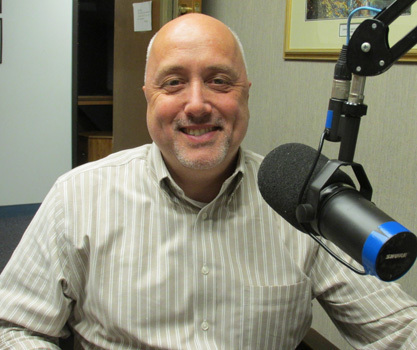 Realtors Sharon McNamara and Cindi Ford along with Plymouth County Register of Deeds John Buckley are guests on this episode of Monday Night Talk! 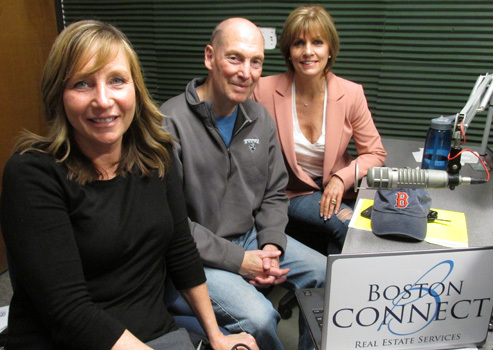 John along with BostonConnect.com owner/founder Sharon McNamara and associate broker Cindi Ford,join Kevin to do a real estate trends year in review of 2015 and first quarter of 2016, housing sales and how to prepare for the spring market. Sharon and Cindi Ford host a weekly radio program, "Talk Real Estate" every Saturday from 10-11 AM on 95.9FM WATD or listen to their podcast found on www.TalkRealEstateRadio.com for all of their past shows. Do you have an topic for a future show or info on an upcoming community event? Email us at mondaynighttalk@gmail.com or "like" and post a comment on our Facebook page: www.facebook.com/mondaynighttalkon959fmwatd. If you're a fan of the show and enjoy our segments, you can either download your favorite segment from this site or subscribe to our podcasts through iTunes today! © Monday Night Talk with Kevin Tocci - 2016. Unauthorized use and/or duplication of this material without express and written permission from the show host and/or owner is strictly prohibited. 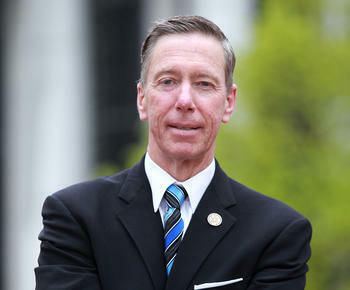 An interview conducted with US Representative Stephen Lynch is featured during this segment of Monday Night Talk! The congressman talks about his push to declassify 28 pages of a report on the September 11, 2001 terrorist attacks. Lynch has been asking the Obama administration to release 28 pages of secret findings about possible foreign government involvement in the terrorist attacks. Do you have a topic for a future show or info on an upcoming community event? Email us at mondaynighttalk@gmail.com or "like" and post a comment on our Facebook page: www.facebook.com/mondaynighttalkon959fmwatd. If you're a fan of the show and enjoy our segments, you can either download your favorite segment from this site or subscribe to our podcasts through iTunes today! © Monday Night Talk with Kevin Tocci - 2015. Unauthorized use and/or duplication of this material without express and written permission from the show host and/or owner is strictly prohibited. 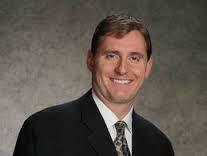 Dave Goucher, who serves as the radio play-by-play announcer for the Boston Bruins is a guest for this segment of Monday Night Talk! Dave chats with Kevin Tocci about the Bruins 2015-2016 season, some of the issues the team had, why the team missed the playoffs for a second season, what some of the changes might be in the off season, free agents and much more. Do you have a topic for a future show or info on an upcoming community event? Email us at mondaynighttalk@gmail.com or "like" and post a comment on our Facebook page: www.facebook.com/mondaynighttalkon959fmwatd. If you're a fan of the show and enjoy our segments, you can either download your favorite segment from this site or subscribe to our podcasts through iTunes today! © Monday Night Talk with Kevin Tocci - 2015. Unauthorized use and/or duplication of this material without express and written permission from the show host and/or owner is strictly prohibited. 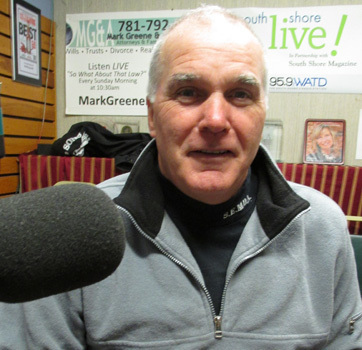 Brockton Mayor Bill Carpenter is a guest during this segment of Monday Night Talk! The mayor discusses the assembling of the homeless taskforce, what their charge will be and how the city is looking to tackle this issue. Do you have a topic for a future show or info on an upcoming community event? Email us at mondaynighttalk@gmail.com or "like" and post a comment on our Facebook page: www.facebook.com/mondaynighttalkon959fmwatd. If you're a fan of the show and enjoy our segments, you can either download your favorite segment from this site or subscribe to our podcasts through iTunes today! © Monday Night Talk with Kevin Tocci - 2016. Unauthorized use and/or duplication of this material without express and written permission from the show host and/or owner is strictly prohibited. Candidates running for the Abington Selectmen participate in a political forum held on Monday Night Talk! Moderated by WATD managing news editor Christine James, Rick Collins and Robert Manning Jr. answer questions on a variety of town related issues and topics, as they both are vying for the one open seat on the board. 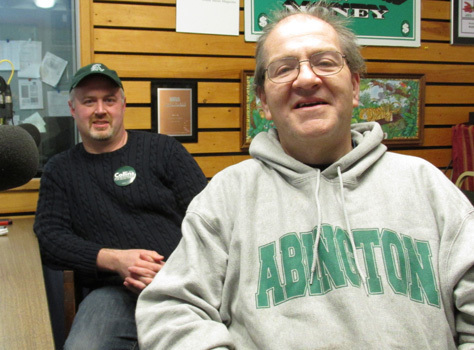 Town elections in Abington are being held on Saturday, April 30. Do you have a topic for a future show or info on an upcoming community event? Email us at mondaynighttalk@gmail.com or "like" and post a comment on our Facebook page: www.facebook.com/mondaynighttalkon959fmwatd. If you're a fan of the show and enjoy our segments, you can either download your favorite segment from this site or subscribe to our podcasts through iTunes today! © Monday Night Talk with Kevin Tocci - 2016. Unauthorized use and/or duplication of this material without express and written permission from the show host and/or owner is strictly prohibited. 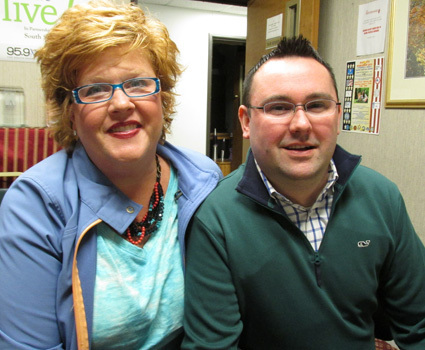 Claudine Reid and Bob Nolet, Director of Communications for the Plymouth Area Chamber of Commerce are guests during this segment of Monday Night Talk! Bob and Claudine join co-host and business owner Peter Brown and Kevin Tocci to discuss the chamber's plans for a Lobster Crawl with 20 to 25 5-foot-tall lobster sculptures colorfully painted by local artists and positioned in various locations in the downtown and waterfront areas. To learn more about the crawl or other events the chamber is working on, visit their website, plymouthchamber.com/. Do you have an topic for a future show or info on an upcoming community event? Email us at mondaynighttalk@gmail.com or "like" and post a comment on our Facebook page: www.facebook.com/mondaynighttalkon959fmwatd. If you're a fan of the show and enjoy our segments, you can either download your favorite segment from this site or subscribe to our podcasts through iTunes today! © Monday Night Talk with Kevin Tocci - 2016. Unauthorized use and/or duplication of this material without express and written permission from the show host and/or owner is strictly prohibited. Event organizer and numismatist Richard Hand is a guest during this segment of Monday Night Talk! 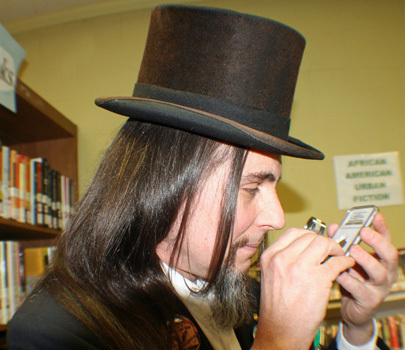 Richard shares details about the 93rd Annual National Coin Week event at the main branch of the Brockton Public Library on Saturday, April 16 at 1pm. Do you have an topic for a future show or info on an upcoming community event? Email us at mondaynighttalk@gmail.com or "like" and post a comment on our Facebook page: www.facebook.com/mondaynighttalkon959fmwatd. If you're a fan of the show and enjoy our segments, you can either download your favorite segment from this site or subscribe to our podcasts through iTunes today! © Monday Night Talk with Kevin Tocci - 2016. Unauthorized use and/or duplication of this material without express and written permission from the show host and/or owner is strictly prohibited. 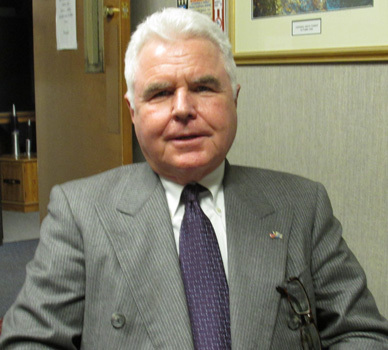 Fisher College President Tom McGovern is a guest during this segment of Monday Night Talk! Tom shares details about the school, some of its satellite campuses on the South Shore, student profile, programs the college offers plus their work with veterans. To learn more about Fisher College, visit their website, www.fisher.edu. Do you have an topic for a future show or info on an upcoming community event? Email us at mondaynighttalk@gmail.com or "like" and post a comment on our Facebook page: www.facebook.com/mondaynighttalkon959fmwatd. If you're a fan of the show and enjoy our segments, you can either download your favorite segment from this site or subscribe to our podcasts through iTunes today! © Monday Night Talk with Kevin Tocci - 2016. Unauthorized use and/or duplication of this material without express and written permission from the show host and/or owner is strictly prohibited. Lenny Coppenrath, organizer of the 2016 Marathon Slow is a guest during this segment of Monday Night Talk! Lenny, who runs for Emily's Edgers, shares details of this great event which features some great prizes and benefits the Special Olympics Massachusetts. The first 100 people that are interested in entering must guess the winning finish time or the time Lenny (slow) or Danielle (much faster) will finish the Boston Marathon on Monday, April 18, 2016. Prizes are awarded for the following - the overall winning time of the Boston Marathon and the finishing time for either Lenny or Danielle. If a person can guess the two times correctly, they will win a 2 year lease (or cash equivalent) of a car from Central Dodge in Raynham. The closest to either of the times without going over will win a week stay at a condo in South Florida (must be used by 12/31/16). Only 100 guesses allowed at $25.00 each. Winner of car lease will be responsible for taxes and insurance. ALL GUESSES must be made by midnight April 14, 2016. To enter the contest, go to the radio station's website, www.959watd.com, and click the banner with Lenny and Emily. Do you have an topic for a future show or info on an upcoming community event? Email us at mondaynighttalk@gmail.com or "like" and post a comment on our Facebook page: www.facebook.com/mondaynighttalkon959fmwatd. If you're a fan of the show and enjoy our segments, you can either download your favorite segment from this site or subscribe to our podcasts through iTunes today! © Monday Night Talk with Kevin Tocci - 2016. Unauthorized use and/or duplication of this material without express and written permission from the show host and/or owner is strictly prohibited. 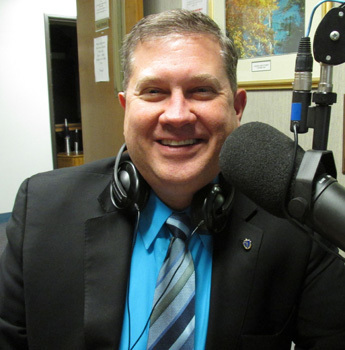 State Representative Matt Muratore is a guest during this segment of Monday Night Talk! Rep Muratore stops in to discuss the latest up at the state house including the passing of the opioid and solar bills, experiencing Plymouth town meeting as a state representative and the loss of Citizen's for Limited Taxation Barbara Anderson, who died on April 8th. There's also a special call in from Boston Herald's Holly Robichaud, who weighs in on the passing of Anderson. Do you have an topic for a future show or info on an upcoming community event? Email us at mondaynighttalk@gmail.com or "like" and post a comment on our Facebook page: www.facebook.com/mondaynighttalkon959fmwatd. If you're a fan of the show and enjoy our segments, you can either download your favorite segment from this site or subscribe to our podcasts through iTunes today! © Monday Night Talk with Kevin Tocci - 2016. Unauthorized use and/or duplication of this material without express and written permission from the show host and/or owner is strictly prohibited.